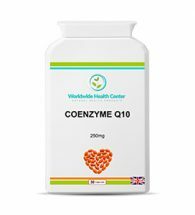 Coenzyme Q10 (CoQ10) is a natural antioxidant synthesized by the body, found in many foods, and available as a supplement. In general, coenzymes support enzymes in their various biochemical functions. It is found in every cell of the body (the name ubiquinone stems from its ubiquity), but is present in higher concentrations in organs with higher energy requirements such as the kidneys, liver, and heart. Coenzyme Q10 has a vital role to play in the energy transport pathways that take part in the small organelles of the cell called mitochondria. These organelles produce small “energy packages” called adenosine triphosphate (ATP) from the foods we consume. It is estimated that CoQ10 is responsible for more than 75% of the energy produced in our body! So you can imagine what our energy levels would be if we were deficient in coenzyme Q10, something that can easily happen, particularly with people taking medications for chronic diseases, as these medications can severely deplete the production of coenzyme Q10 in the body. What other symptoms are there when there is a deficiency of Coenzyme Q10? Since this enzyme is found in high concentration in heart muscle cells, deficiency has been associated with cardiovascular problems including angina, arrhythmia, heart failure and high blood pressure. Problems with blood sugar regulation, gingival (gum) health, and stomach ulcers have also been associated with CoQ10 deficiency. Other symptoms of CoQ10 deficiency are headaches/migraines, chronic fatigue, low immunity, fibromyalgia, Alzheimer’s disease, forgetfulness disease, dementia, Parkinson’s disease, muscle/joint pain, irritability, mental sluggishness and depression – most of these symptoms would benefit from taking CoQ10. Those who are taking statins to lower cholesterol are at particular risk for deficiency, because not only do statins reduce cholesterol levels, but they also block Coenzyme Q10 synthesis in the body. Low CoQ10 levels in patients on statins can contribute to the common side effects of statin therapy such as fatigue and aching joints and muscles. 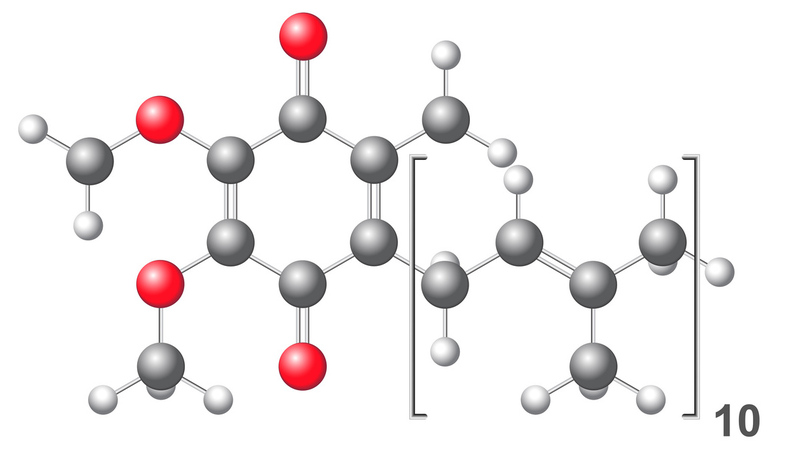 Where do we get Coenzyme Q10 from? Mostly from food – the best sources are organ meats like heart, kidney and liver. If you are not the kind of person who likes these delicacies, then you can get CoQ10 also from fish in the wild (not fish-farmed), wild game such as venison, pastured poultry and bison and grass-fed beef. There are options for vegetarian and vegan people too, such as cruciferous vegetables, and nuts and seeds, albeit in smaller quantities than animal foods. Oils from soybean, sesame, and rapeseed (canola) are also good dietary sources. Generally, the average diet contains about 10 mg of CoQ10 daily, so supplementation is often necessary to reach the optimal levels. Certainly people with chronic diseases or taking medication such as Statin drugs would benefit from taking a high-potency 200 – 250 mg CoQ10 daily. This high-potency COENZYME Q10 is now available as one capsule per day containing 250 mg per capsules – each pack lasts for one month at a great price!